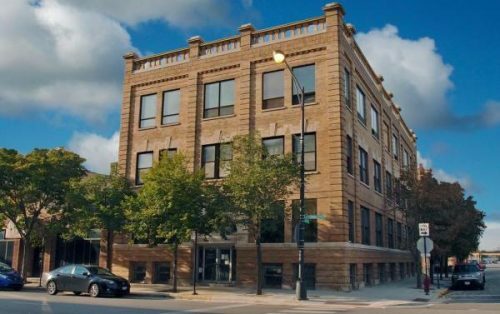 A local Chicago couple saw the amazing potential of in a 100-year-old, 3 story building, and decided to turn it into an 11 room Bed & Breakfast in the heart of the West Loop. A local Chicago couple saw the amazing potential of in a 100-year-old, 3 story building, and decided to turn it into an 11 room Bed & Breakfast in the heart of the West Loop. One Chicago area bank also believed in the full potential of this couple’s vision, helping them make this project a reality through their Commercial Real Estate Financing Program. This new Bed & Breakfast, now known as The Publishing House Bed and Breakfast, sought to serve the needs of the area by catering to corporate guests, local residents’ visiting families, and wedding parties from the hosts to the guests for a weekend stay in an iconic Chicago location. Prior to the creation The Publishing House, the area did not have a lodging option allowing all 11 rooms to be utilized by corporate teams or smaller wedding parties. After the building was purchased with the financial assistance of Centrust Bank, it was fully remodeled to not just include event space and overnight lodging, but also a beauty salon and wine bar – making the guest experience even more memorable. The sought-after wedding venue over weekends is now consistently booked up over a year in advance. With their competitive rates and wide range of commercial real estate loans for various property types, Centrust Bank is strongly committed to assisting aspiring and existing business owners with their financial needs for growth and development. Their staff of seasoned Commercial Bankers understand the complexities inherent to each type of loan and the hospitality industry as a whole. According to the U.S. Small Business Administration, there are 33,505 small businesses in the Hospitality industry for the entire state of Illinois. With so many small businesses in the hospitality industry in Illinois, Centrust Bank prides itself on working personally with small business owners to help meet their unique lending needs both quickly and efficiently. Centrust values its customers and their time, so ensuring business gets done efficiently is top priority. Centrust offers businesses in the hospitality industry smart solutions and SBA loans for acquisitions, ground-up construction, expansions, renovations, refinancing and more. Centrust Bank has grown to be one of the area’s top-performing banking companies. They are the go-to bank for Commercial Banking services and succeed by building relationships with business owners. Together the Bankers and clients of Centrust Bank have created a strong, growing and successful Community Bank with exactly the bank credit and deposit services required by the residents and business owners of the Northshore communities that we are ideally located to serve. Originally founded in 2006, Centrust bank has quickly grown to become a leading Chicago area community bank. As a model of community banking, Centrust Bank pays special attention to helping small to mid-sized businesses grow safely and profitably. Centrust is also one of the largest SBA lenders in Illinois. Centrust Bank is an Equal Housing Lender. Member FDIC.